【2019】JR Hokkaido Pass | Official Agent in Australia | Travel Japan by H.I.S. Australian Residents traveling on a Japanese Passport are not allowed to purchase JR Hokkaido Rail Pass. 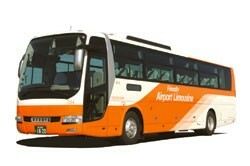 The Hokkaido Rail Pass is valid for all train lines of the Hokkaido Railway Co. and selected JR Hokkaido Bus lines. Excluding Bus Routes: Sapporo to Asahikawa, Monbetsu, Hiroo, Obihiro, Erimo, Shin Sapporo-Atsubetsu Stadium, JR Shiroishi Sta.-Sapporo Dome, Shin Sapporo-Sapporo Dome & irregular lines. JR Hokkaido Pass no longer covered the rides on following Hokkaido Shinkansen line of “Hayabusa” or “Hayate”. Kikonai-Goryokaku (As this JR line will be owned by private train line of “Dounan isaribi” line JR Hokkaido pass no longer valid on this line). Services of Hokkaido Shinkansen line will end their service. Unlimited use of trains operated by JR Trains in the Kanto (Tokyo, Kanagawa, Chiba, Saitama, Gunma, Tochigi and Ibaraki Prefectures) and Tohoku (Fukushima, Miyagi, Yamagata, Akita, Iwate and Aomori Prefectures) region and JR Hokkaido trains in Southern Hokkaido (as far as Sapporo) on 6 days of your choice within a 14 day period. 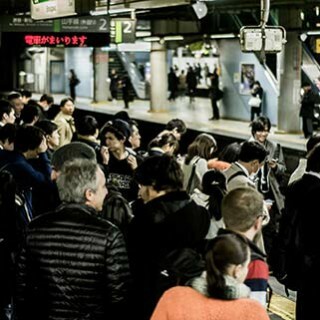 - Limited express trains between Shinjuku and Tobu-Nikko and Kinugawa Onsen and local trains between Tobu-Nikko, Shimo-Imaichi and Kinugawa Onsen. 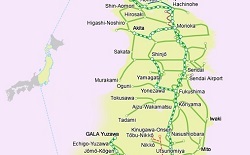 - All trains along the Izukyu Line between Ito and Izukyu-Shimoda on the Izu Peninsula. - All trains along the Iwate Ginga Railway and Aoimori railway between Morioka and Aomori. - Tokyo Monorail between central Tokyo and Haneda Airport. In the designated area, you can use all type of JR East (including Bus rapid transit and JR Hokkaido trains, including Shinkansen (except Tokaido Shinkansen), limited express trains local trains (except some "liner" trains). Seat reservation can be made for free. An Exchange Order must be presented in Japan within 3 months from the date of issue. This must be done at a JR Station that has a Japan Rail Pass Exchange Office. An Exchange Order can be picked up the same day they are ordered online or issued immediately from your nearest branch during business hours. JR Pass pricing fluctuates depending on the status of the exchange rate. For more information please consult with a Travel Japan Consultant. Australian Residents travelling on a Japanese Passport are not allowed to purchase JR East, West, Kyushu, Hokkaido, Central or Shikoku Rail Passes. Baggage carried on board must be within 250 cm with a maximum length of 2 m.